In 2014, Gemini Exchange was built with a goal to create a world-class marketplace for digital assets. The exchange was founded by Tyler and Cameron Winklevoss in New York City. They believe digital currency has the potential to change the way financial system functions and aim to convert that into a reality by building a highly secure platform for individuals and institutions to buy, sell and trade cryptocurrencies. Gemini Exchange is a licensed digital currency exchange and custodian developed for both individuals and institutions. The New-York based exchange is regulated by the New York State Department of Financial Services (NYSDFS). Gemini brings a high level of professionalism to the market and provides a world class service which is highly lauded by its clients spread worldwide. Indeed, it is one of the sector’s most well-trusted exchanges and acts as a bridge between the traditional financial markets and the cryptocurrency ecosystem. Setting up an account on Gemini Exchange is quite simple. However, it does take three to four days for the verification to be completed. A user needs to input all the basic information and a phone number for a successful Gemini Exchange login. In addition to this, you have to scan and upload your government issued ID and a current utility bill and that can’t be a bank statement. It has to be a utility bill which comes to your address with your name on it. The Gemini exchange app is simple to use and well designed. The user interface provides an efficient and smooth user experience while keeping it simple. The best part is data on prices, balances and orders keep updating which keeps the platform responsive and enable users to stay on top of their dealing. 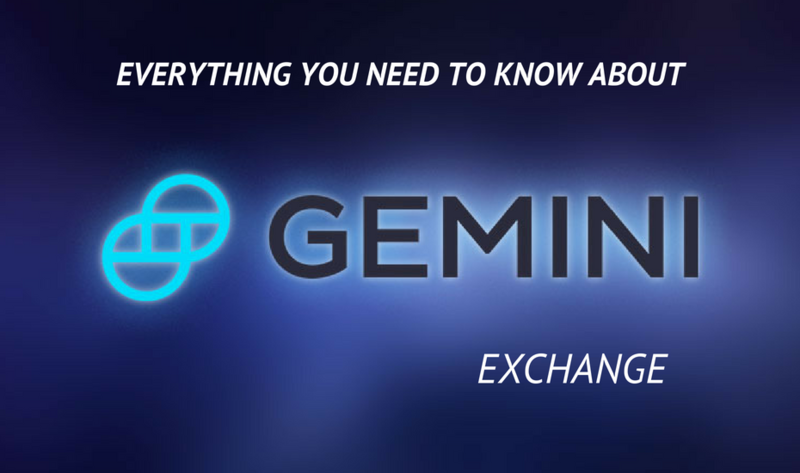 For providing helpful information to its users, Gemini Exchange documents in an ever-updated FAQs and Gemini Exchange blog. Gemini handles person-to-person customer service needs via email with answers forwarded within a few hours. In times of high network strain, the process can be delayed but in most cases, people are always happy. One of the best elements of Gemini Exchange is the extent of its worldwide reach. The exchange is not really universally available, however, it is more widely available than most of its competition. Currently, Gemini Exchange is available in all US states and Canada except Nevada and Hawaii, Puerto Rico, Great Britain, Singapore, South Korea and Singapore. All Gemini Exchange users are provided with 30 free withdrawals and unlimited free deposits every month. After initial 30 withdrawals, fees are relatively low. Here is the fee: .001 BTC for Bitcoin and only 0 ETH for Ethereum. If you read reviews on Gemini Exchange, you will see Gemini takes security very seriously. Majority of the customer’s digital assets are stored offline (cold storage) and offsite to reduce the theft risk. The tiny portion of customer’s Altcoin is stored online (hot storage) and hosted by Amazon Web Services and has tiers of access-controls to ensure the safety of users digital assets. One can easily transfer Bitcoins, Ethereum or US Dollars between your Gemini Account and your crypto wallet or bank account. Undoubtedly, Gemini is a trusted cryptocurrency exchange platform that complies with the regulations of the digital assets industry. This exchange offers customer protection and support to all the users. In fact, it also provides a low transfer fee policy and allows in free deposits of cryptocurrencies. If you’re also interested in building a platform like Gemini Exchange, you must select the ideal cryptocurrency exchange development company that understand your project requirements and deliver the product meeting your expectations.